If you have multiple servers running your Public Folder estate, I’d strongly recommend finding the most idle server of the lot and using this one as your source endpoints. All data will be pulled from this server and if it’s under heavy load you will have issues. 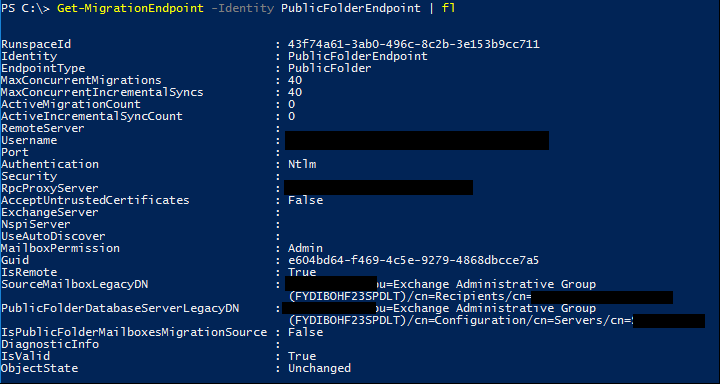 You will need to create a service account that has access to your Public Folder data (we added ours to Exchange Public Folder Administrators). We increased our MaxConcurrentMigration and MaxConcurrentIncrementialSyncs to 40 each. You can do this by using the Set-MigrationEndpoint cmdlet. While you can go higher, we did go as high as 100 however as you get further into the migration you begin to test Microsoft’s timeouts and throttling limitations. Once you are ready to go (and you have your flights booked to get as far away as possible)… start your migration batch.